Albania didn’t officially depart from the Warsaw Pact until 1968, however the country began cutting ties with the Soviet Union in 1960. Some notes allege that Albania began manufacturing of Chinese AK’s without license but China would actually help as early as 1962, the same year the state arsenals were founded. The country found itself in need of weapons to supplement the existing inventory of Soviet pistols, submachine guns, assault rifles, light machine guns, and sniper rifles. China supplied Type 56 SKS rifles and Type 56 milled AK rifles. 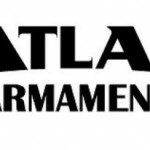 In 1962 Albania started construction of at least three state-owned arsenals: Uzina e Municioneve Gramsh (Gramsh Munitions Plant) near Gramsh, Kombinati Mekanik Poliçan (Poliçan Mechanical Compound, previously Uzina e Prodhimit të Municioneve) as part of the industrial center near Poliçan, and Uzina e Lëndëve Plasëse Mjekës (Mjekës Explosive Materials Plant). The latter won’t be discussed here, except to say ULP Mjekës manufactured explosives starting in the early 1960’s, later by license from Bofors of Sweden, starting in 1982. In 1962 the M43 7.62x39mm ammunition also began being produced at the Poliçan ammunition factory. Wikipedia (and websites quoting Wiki) list the arms as being produced by KM Poliçan. I could find no other reliable source substantiating this and it in fact conflicts with the Albanian Ministry of Defence. KM Poliçan primarily produced ammunition, mortars, and anti-tank rounds through the course of it’s history. It appears all rifles were made only at UM Gramsh; if anyone can contest this, I’d greatly appreciate the source. Production began of the SKS as the Pushkë Gjysmë Automatiku Shqiptar tipi 56 (Albanian Semi-Automatic Rifle Type 56) at the central Albanian arsenal of UM Gramsh as early as 1962, but in very few numbers until 1966. These were built with a license from China North Industries Corporation (Norinco). Norinco helped with tooling, parts supply, and training. Manufacturing numbers were limited in the first half-decade but the arsenal also repaired existing weapons. The Albanian made SKS is sometimes referred to as the July Tenth Rifle. 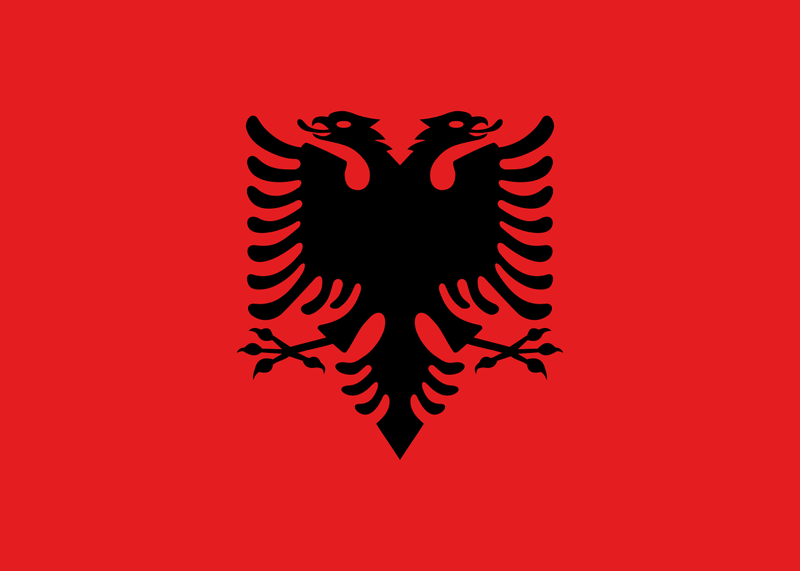 This is rumored to celebrate Albanian independence, but the Albanian Independence is celebrated on November 28th and Liberation day on November 29th. In fact no official national holiday is celebrated in July. From a distance the handguard is the first noticeable difference from other SKS makes. Closeup the hook style charging handle is the biggest giveaway to its country of origin. The Albanian SKS has a long handguard with three vents that runs past the gas block. The buttstock has two compartments for maintenance items and a left-side sling swivel. The magazine has a unique shape and the spike style bayonet is black. The close quarter marking on the rear sight is a “D” with the numbering going from 100 to 800 meters. Serial numbers are on most large metal parts, with the receiver markings on the left side followed by a hyphen and a two digit year of manufacture. Though manufacture began years earlier, manufacture dates as serial number suffixes didn’t begin until 1966 or 1967. The Albanian SKS is sometimes found with Chinese parts, and less often USSR origin parts. If you own one of these rifles, your weapon was likely imported with the mismatched parts. It has been printed the SKS manufacture didn’t start until 1966 or 1967 but the Albanian government officially lists this as 1962. Having kept ties with China, in 1974 GSA licensed the Type 56 AKM from Norinco, as well as obtaining more technical overview and supplemental parts to finish assembly. Chinese made arms in the Albanian inventory were listed as Automatiku Shqiptar tipi 56 regardless of the receivers being milled or stamped. 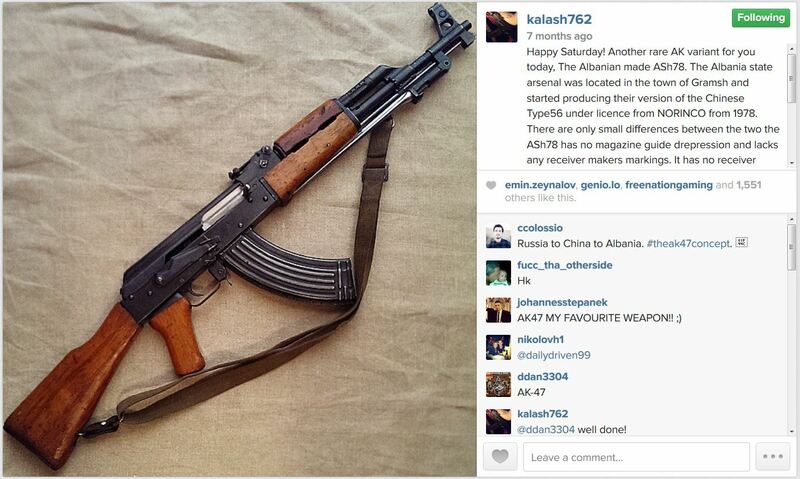 Many Chinese Type 56 and Type 63 Kalashnikovs existed in the Albanian arsenal. 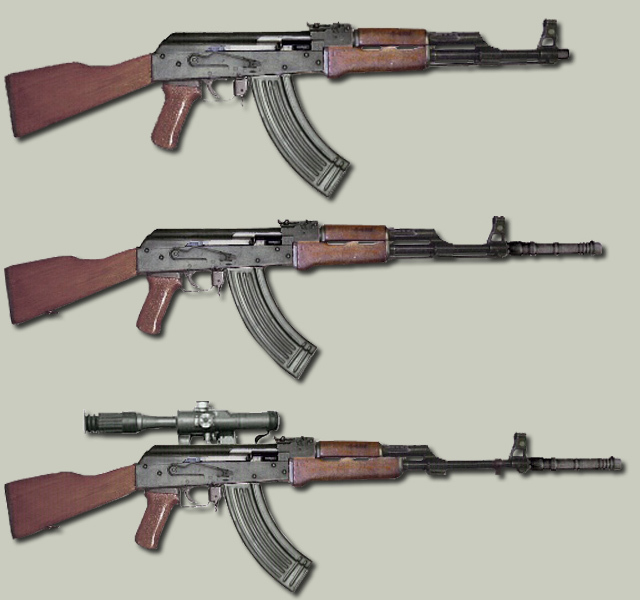 The first Albanian produced AK was the Automatiku Shqiptar tipi 78-1, or Automatic Rifle Type 1978-1 (ASh78-1), an almost a direct copy of the Chinese Type 56 AK. The ASh78-1 or Tip-1 has no arsenal markings but can be identified through a few unique changes. The most notable change is the flat sided receiver, due to lacking the magazine guide depressions on either side (this is sometimes found on Chinese Type 56 stamped rifles and Iraqi Tabuks). The smooth wood pistol grip lacks the Chinese cross-hatch engravings. The ASh78-1 sight block is a hybrid of the Chinese and Russian types. The rear sight is marked “D’ for close quarters and meters marked in hundreds, 1 through 8. The three position selector (safe, full, semi) is blank for safe, “A” for full-automatic, and “1” for semi-automatic. The year of the manufacture is marked as the last two digits of the serial preceded with a hyphen, the serial is marked on the left side of the receiver. The barrel length of the standard rifle is 414 mm (16.2 inches) with an overall length of 880 mm (34.6 inches). From user kalash762 on Instagram. 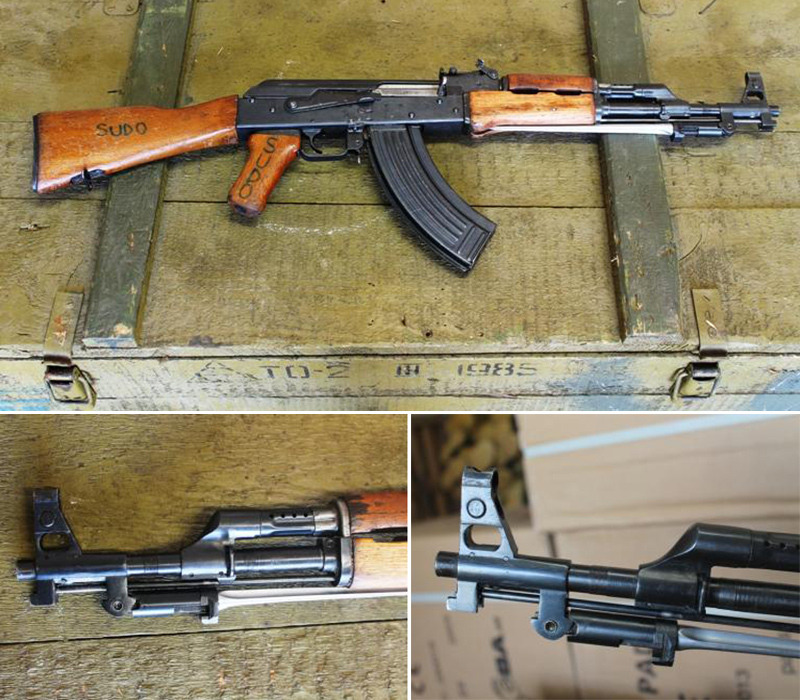 A near direct copy of the AKMS Chinese under-folder was manufactured as the Automatiku Shqiptar tipi 82 (ASh-82). More recent productions of both the ASh78-1 and ASh82 are modified with finger-grooved pistol grips, handguard rails and modular attachments such as close range optics and vertical grips. The upper handgaurd is omitted for an optic rail similar to the gas tube Ultimak scout rail. A longer barreled version known as the Automatiku Shqiptar tipi 78-2: (ASh78-2) This version is absent of a bayonet in lieu of a longer barrel with a screw-on grenade launching tube, and right-side gas cutoff valve. Later models have an extended sight radius with the rear sight moved to the rear of a hinged dust cover. The barrel length of the Type-2 rifle is 565 mm (22.2 inches) with an overall length of 1,034 mm (40.7 inches). 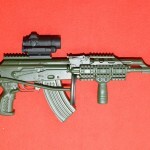 The Type 3 Automatiku Shqiptar tipi 78-3 (ASh78-3) support weapon model can be used as a dedicated marksman’s rifle and also fitted with an optional under-barrel grenade launcher. It is the same as the ASh78-2 above, with an even longer barrel and a bipod, unless the grande launcher is attached. Shown above with a scope. The barrel length of the Type-3 rifle is 670 mm (26.3 inches) with an overall length of 1,127 mm (44.3 inches). Late models also have the hinged dust cover with extended sight-radius like the Type 2. The ASh78-2 and ASh78-3 were manufactured in limited numbers. The short barreled AKS-74U is known to exist, it is unclear if they were manufactured locally or were obtained by other means but are assumed to be local clones. 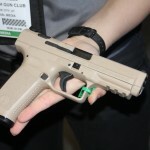 Two locally produced short barreled versions are listed as the RDW1 and RDW2. 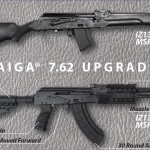 They are pistol models with the short gas system of the AKS-74U and a forward vertical grip. I could find no further information on these two. After the Balkan wars, large numbers of the Albanian AK and SKS rifles as well as stores of 7.62x39mm ammunition were destroyed by the United Nations disarming initiative. Several NATO countries supplied funding for the destruction project, including Great Britain and the United States. In 1992 KM Poliçan was reduced to 1700 employees from 3200 and from 1994 until 1997 production was halted completely. In 1997 production was continued and then in 2006 KM Poliçan became independent of the state (which is why the website likely no longer works, though it is linked on Albanian government sites still). The primary activity is now the disposal of ammunition and explosives, including the payload of military aircraft. Ammunition, grenades and other explosives are shipped in and are often of Chinese or Russian origin. In the mid-1990’s the state-run arsenals had deteriorated until little military equipment was produced. From 1994 to 1997 UM Gramsh was shut down. Prior to this it was claimed 26,000 rifles were produced annually. The UN Department for Disarmament Affairs stated in 2004 there were no longer any effective military productions in Albania. Under disarmament control an estimated 141,000 small arms were destroyed from 1997 until 2004. In 2002 Albania exported 600 ASh78 rifles to Afghanistan. In 2004 Germany was sent 200 ASh78 rifles for the international collector’s market. A further 30,000 were sent to Afghanistan in late 2010. Like KM Poliçan, UM Gramsh is also currently dismantling armaments, but also repairing current armed forces weapons. Since Gramsh has current licenses to manufacture new weapons, it is expected they will return to producing arms soon. The NATO Support Agency (NSPA) destroyed 100,000 small arms and light weapons from the Albanian Ministry of Defence and Ministry of Interior (non-military law enforcement) inventories. In 2013 the four year program concluded with the NSPA destroying 4,700 tons of munitions at ULP Mjekës after modernizing the facility. Much of the metal from dismantling, at each plant, is auctioned as metal waste. I welcome any and all corrections to the above; please include sources for review. Republic of Albania: Kombinati Mekanik Poliçan. Official Site. Albanian Language. Currently offline. Republic of Albania: Uzina e Municioneve Gramsh. Official Site. Albanian Language. Currently offline. July Tenth was celebrated as Army Day.